With the glorious colours of fall it would be oh so nice to see some falling leaves, pumpkins, acorns or any other favourite images that brings fall to mind. 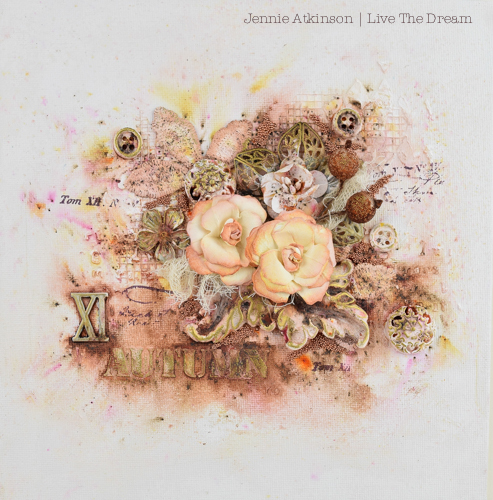 Just remember to create your project in our preferred styles of vintage, shabby, mixed media, art journaling, industrial, timeworn or steampunk. I hope you will love what the Creative Guides have created to inspire you and that you will find time to play along with us this month. We can't wait to see what you will create! Oh, how I love autumn's boldly colored foliage and blue skies! 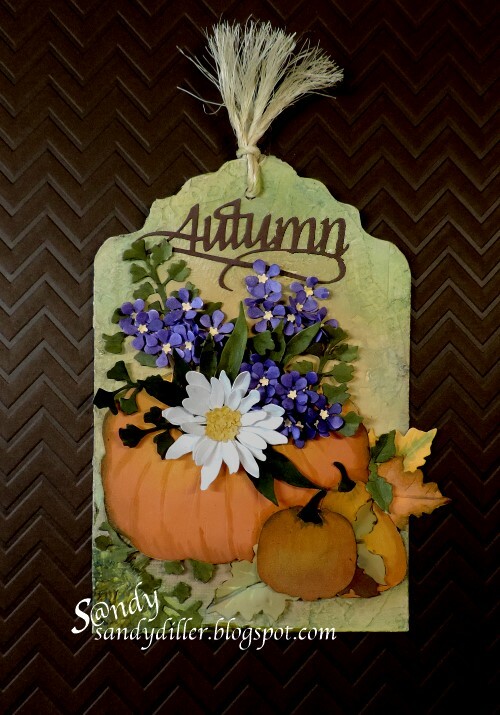 I chose to make a super quick and easy card that's chock full of the season's colors. Please stop by my blog to see some close ups, and I'll have a full tutorial on how I created it right here in a couple of weeks. I created this little folio for Sara Emily's wonderful theme. It doubles as a birthday card for my daughter whose birthday was just recently. If you want to see what is hidden inside, please visit me on my blog. I absolutely adore the colours of Autumn and wanted to create an art panel with as many of the colours of this season as possible. 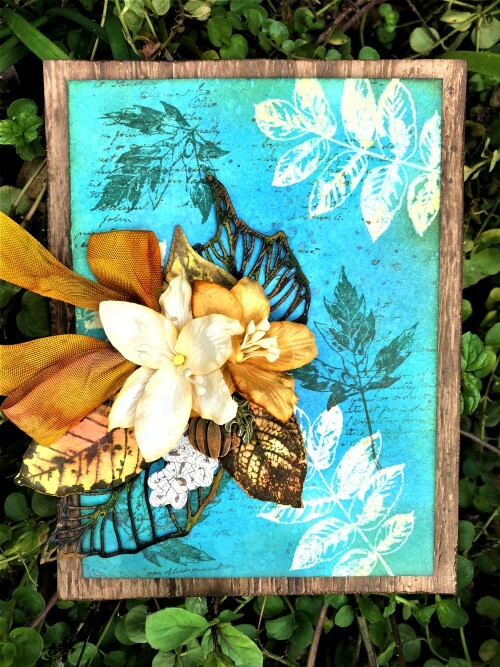 I have used PaperArtsy Infusions over a gesso background and incorporated a number of paper clay embellishments as well. Do join me over on my blog if you would like to see more. Ah, autumn... pretty much the only time when really bold colours start to appear on my craft table! For my Autumn Splendour, I wanted to capture the glory of the changing leaves against one of those vivid blue autumnal skies you sometimes get. Do come over to Words and Pictures to see more details of this huge jumbo tag. For this wonderful theme I used lots of dies to create my tag. Autumn is my favorite color palette so I used every one that I possibly could. I hope you enjoy and will stop by my blog here to see more. 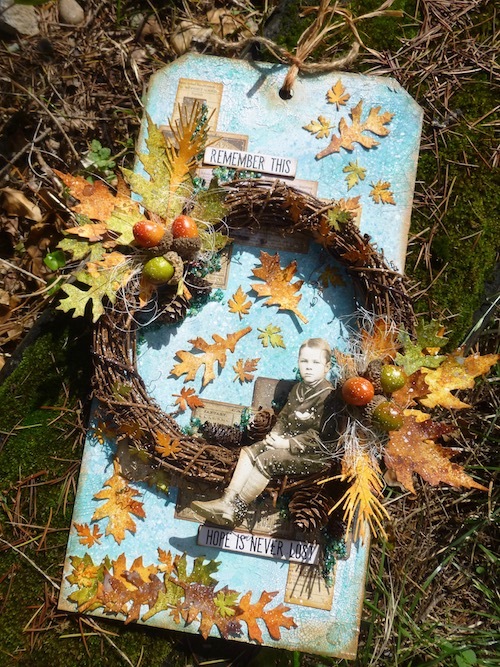 Surely you are inspired by so many wonderful autumnal projects! Please join us for this colorful challenge; we are looking forward to seeing your fabulous projects. We are always amazed by your talent and creative takes on the theme every month. The Creative Guides select three Pinworthies at the end of each challenge which are featured in a post the following month. If you are one of our chosen entries you will receive a badge of honour and your projects are pinned to our Pinterest boards. Such a lovely array of Autumn Splendor. Great inspiration from the team and a wonderful theme for October. Such wonderful projects celebrating the splendour of autumn... it's been lovely hopping round to see them. Yes so very inspired by the Autumn splendour by your amazing DT. Thank you for the fabulous creations x.
Wow! As usual, you talented ladies have come up with the most beautiful makes for this theme! What beautiful Autumn Splendor inspiration from the team! I am always amazed that the work of your design team members. The colors are stunning and every single project is inspiring. Thank you. How can we not be inspired by these beauties, off to take a closer look at the beauty before me. Just amazing samples by the DT! Terrif art as always Ladies!